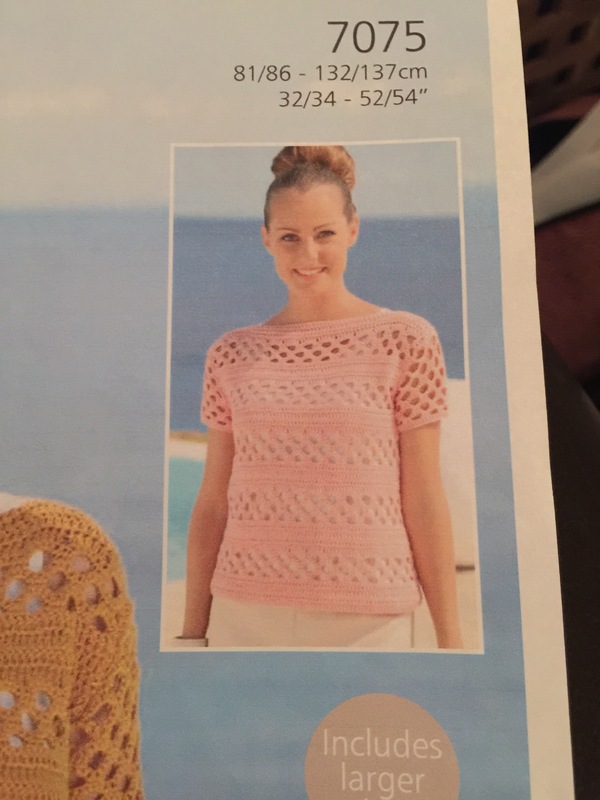 But it wasn’t quite this, I’ve finally finished mums sirdar top, still got mine to finish but not sure I’ll bother! I’ve followed the pattern to the letter, maybe it’s one of those pieces that look better on? I just can’t see mum wearing it and I think I’d be offended if she didn’t! Mum is only 61 and very trendy indeed, her favourite shop is the white company, followed by jack wills, I just can’t see her wearing this at all! But White of course, maybe it will look better on! Let’s hope so anyway! I’ve frogged it that many times to get it perfect, I’m considering not even giving it to her, I’ll be gutted if she doesn’t like it, and even more if she pretended she did! 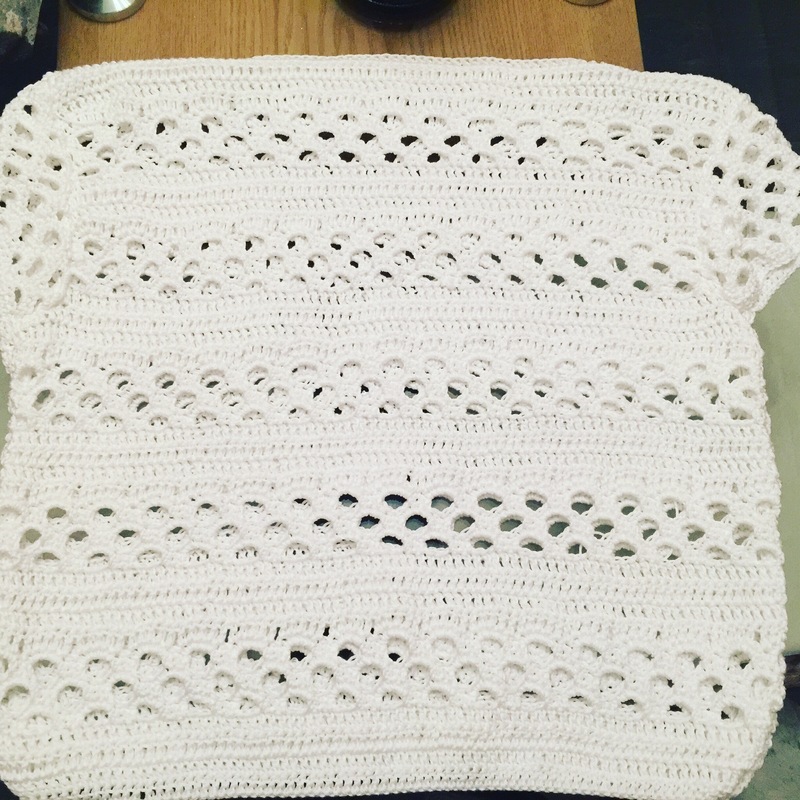 I’ve made the same top for myself in a beige/gold colour, it just needs joining and blocking, urrrgghhh a rather miserable post from me but I thought I’d be more pleased! I took mums measurements and I’m also thinking it’s slightly too big! She’s a tiny lady, worst comes to worst I can send it to my mother in law in Australia, but let’s see how it goes tomorrow! Also, does anyone else fear that once they’ve washed their make it might all fall apart?! Think I’ll be sticking to smaller projects from now on, next project for me is Twinkly Chans doughnut foot rest, well two of those then two mermaid tails and two shark tails. Wish me luck for mum tomorrow! Aw, but keep up hope, often things look 100 time better when they are worn! I’ve made many things that didn’t turn out as I expected or hoped but I always learned something in the process. I wouldn’t give up just yet. Practice makes perfect. And yes, I too worry that washing my items will destroy them but so far, they’ve held up pretty good. I just make sure to wash in a very gentle way and air dry.